If you are an artist who has wondered about the creative possibilities of painting and drawing using your iPad, this workshop is for you. 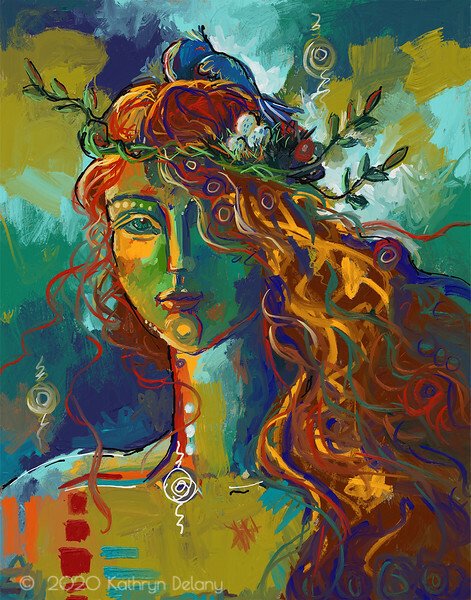 This is a beginning class for artists to explore the exciting new world of painting and drawing digitally on an iPad. 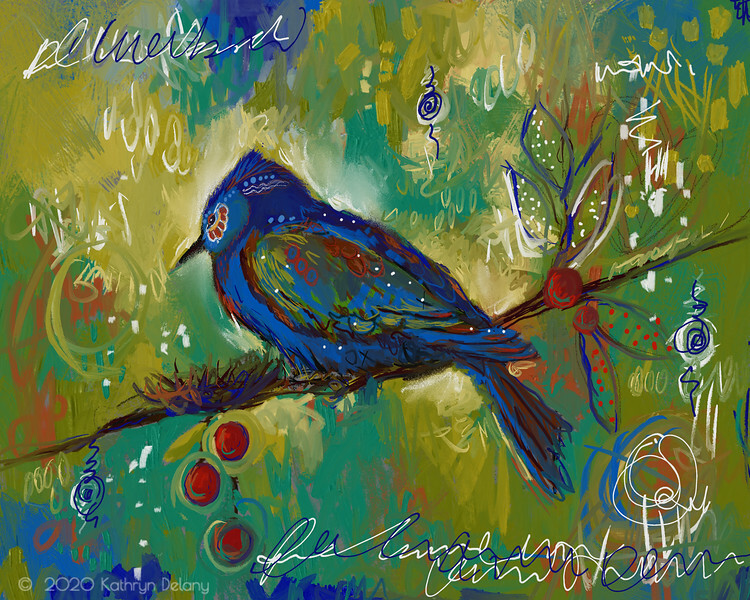 Join digital artist, Kathryn Delany in exploring all the aspects of this new digital art medium. 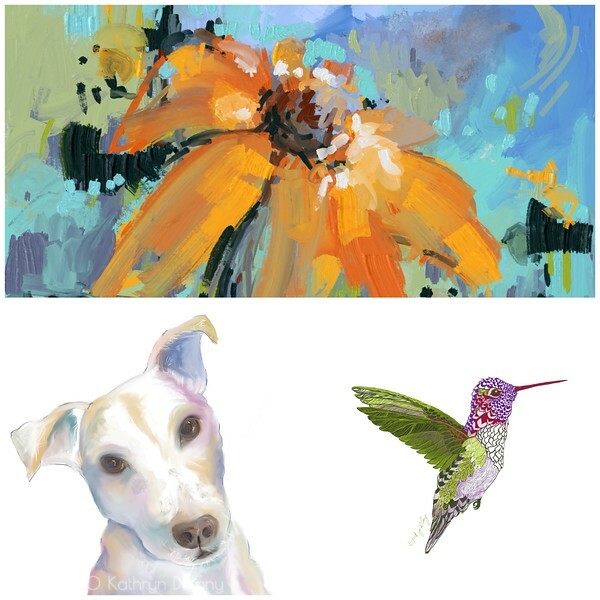 We will explore how to create a canvas, how to create a digital paper for digital collage and how to use the digital painting tools as you would traditional ones. We will paint a still life (or anything that you wish to ) so you can experiment with the main components of the app Procreate, along with a couple of other apps for the digital collage work. At the end of the day we will print out a copy of your artwork created in class. 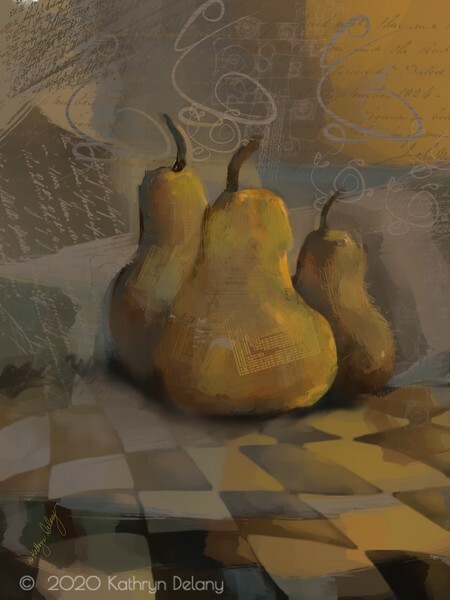 We will recreate a still life using pears similar to this image here. iPad and a stylus. Apple pencil if you have an iPad Pro, Various iPad creative apps which will be sent to you once you register. * Once registered student will receive a materials list and more detail on the class curriculum closer to the date of the class. Learning the basic tools of Procreate - how to create a custom canvas, how to access the brushes, color palette and mark making. Learn how to create digital abstract backgrounds using photographs, hand painted paper by scanning, painting and manipulation with multiple apps. Incorporate your digital papers/collages into the Procreate painting. Create a painting using the Procreate app with the techniques learned in the morning session. Print out one piece of art for each student.